Former JAC President Betsy Sheerr with Sen. Debbie Stabenow (D-MI) on Martha's Vineyard. Marisa Matarazzo & Francine Matarazzo at the LA Keep Families Together proudly wearing her JAC VOTE t-shirt. You want your own VOTE shirt? Call the JAC office. Susan Insoft (r) delivered JAC support to Rep. Jacky Rosen, candidate for U.S. Senate in Nevada in Aspen, CO. In San Diego, Dana Gordon & AnnDee Levy delivered support to Mike Levin, Congressional candidate for CA-49. This week we celebrated July 4th and the 54th anniversary of the Civil Rights Act while we wait for President Trump to announce his next Supreme Court nominee. These two events, nearly 188 years apart, are linked by the "unalienable Rights" of life, liberty and happiness. It is the pursuit and the protection of those rights that brings us to this pivotal moment in our nation's life - the next Supreme Court Justice. The next justice will have the grave responsibility of deciding what type of country we will live in for the next 40-50 years. No other presidential decision, except going to war, is as consequential as choosing a justice for the nation's highest court. The Supreme Court is the final judge in all cases involving laws of Congress, and the highest law of all - the Constitution. Our President has questioned, and even tried to step over, many of the principals laid out in the Constitution. We count on the Supreme Court to defend the Constitution against political powers. The U.S. Supreme Court is also the ultimate backstop against policies that restrict reproductive rights. Trump's promise to appoint a judge to overturn Roe v Wade puts the legal right to access abortion on the line. Many other hard fought rights are at risk as well. At least twenty states are poised to immediately seek to ban abortion if Roe were overturned. States have their best chance in decades to push anti-abortion measures and pull back rights without fear of judicial override. A new SCOTUS justice could mean a direct threat to women's rights to control their own bodies. Actions speak louder than words. It is not enough to be concerned. You must act. Call the Senate. Tell your Senators to only vote for a judicial nominee who protects our reproductive health care, not one who attacks it. Let your Senators know you are watching their vote and that you vote, too. We can't afford to lose this fight. Tell them to vote NO on any nominee who opposes Roe v Wade and the right to safe, legal abortion. President Trump campaigned on the promise to nominate anti-choice justices to the Supreme Court, and now is his chance. He holds the balance of the Court in his hands. Senators MUST vote for judicial nominees who protect reproductive rights, not attack them. Tell your Senators to vote NO on any nominee who will not protect our rights. Israel's message has been clear, its red lines repeatedly emphasized: it does not want to get embroiled in the ongoing civil war in Syria. 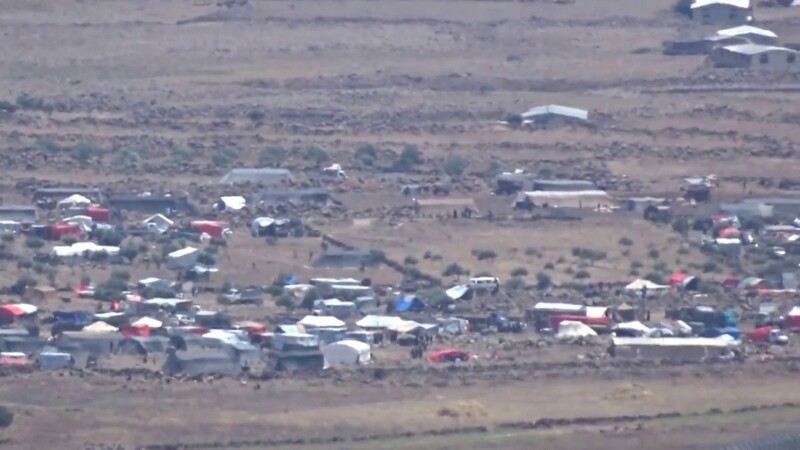 But as the fighting draws ever closer to its northern border and as an estimated 11,000 internally displaced Syrians have flooded the immediate area in recent days, maintaining such a policy might prove challenging. An Israeli law professor has been chosen to chair the United Nations Human Rights Committee, a panel of experts who review the adherence of member states to a rights charter. 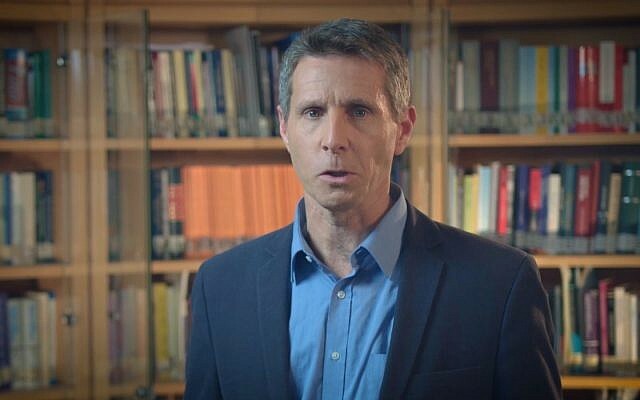 Yuval Shany, who is deputy president of the Israel Democracy Institute and a member of the Hebrew University's Faculty of Law, was selected in a unanimous decision by the Geneva-based committee's 18 members. It's every parents' worst nightmare - their children stuck underground as rescuers work around-the-clock to save them. For some 12 boys and their soccer coach - who have been trapped for nearly two weeks in a flooded Thai cave - Israeli technology may be part of the answer. 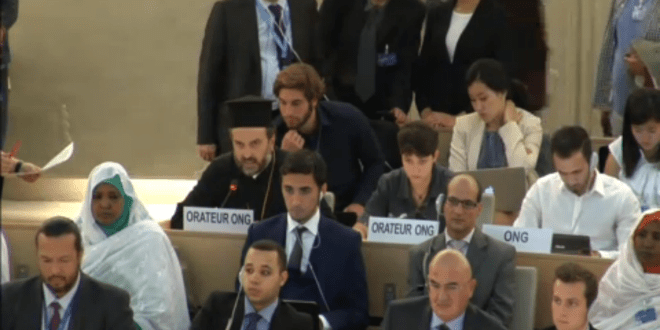 Hungary condemned the growing threat of anti-Semitism during the U.N. Human Rights Council's 38th session in Geneva. "Jewish communities are enduring growing threat manifested in hate speech, harassment, vandalism and physical violence in several regions," said Hungarian Ambassador Zsuzsanna Horváth. "Incidents of anti-Semitic violence targeting Jewish or non-Jewish individuals, their property as well as educational facilities, cultural and religious heritage sites are seen as attacks on our core values and identity," she said. The governor of Illinois has called on a neo-Nazi GOP candidate for a Chicago-area congressional seat to drop out of the race. Gov. 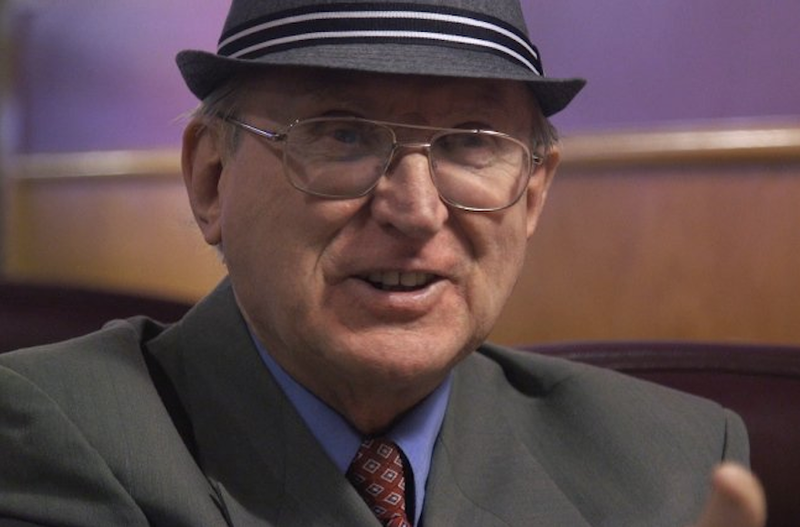 Bruce Rauner, a Republican, denounced Arthur Jones, also a Republican and a former leader of the American Nazi Party, but declined to endorse the opposing Democratic candidate. An Australian glasses company has removed part of an advertising campaign filmed at a death camp in Croatia, after a series of complaints. Valley Eyewear put up a series of videos taken on a trip to Croatia and Bulgaria, using footage of models in sunglasses at communist-era memorials. 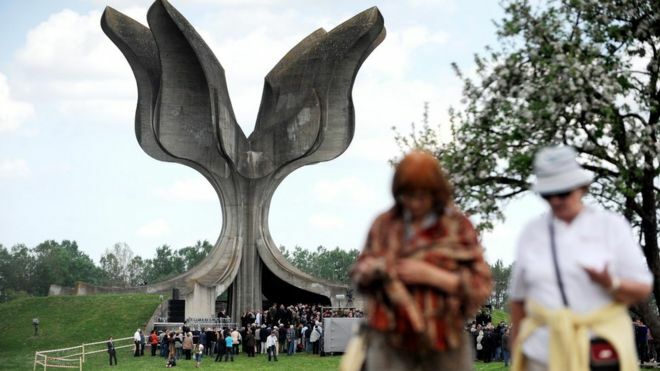 But some of the pictures were from Jasenovac, a World War Two death camp run by Croatia's Nazi puppet regime. Should the court decide to overturn Roe v. Wade, women will-like those before them, like those living in countries without abortion now-find a way. We will organize, we will raise money to help those in states where it is illegal to travel to states where it is, and if necessary we will learn these procedures ourselves. We shouldn't have to. This shouldn't be something we should even have to consider. But if history has taught us anything, it's that we know how to fight back. With President Donald Trump set to announce a nominee to succeed to Associate Justice Anthony Kennedy on the Supreme Court, the right to an abortion is under threat - and some states are already prepared for the change. As partisans on both sides of the abortion divide contemplate a Supreme Court with two Trump appointees, one thing is certain: America, even without legal abortion, would be very different from America before abortion was legal. The moment Justice Anthony M. Kennedy announced his retirement, speculation swirled that Roe v. Wade, the landmark 1973 ruling that legalized abortion, would be overturned. Most legal experts say that day is years away, if it arrives at all. A more likely scenario, they predict, is that a rightward-shifting court would uphold efforts to restrict abortion, which would encourage some states to further limit access. What Will Happen If Abortion Is Banned in the U.S.? Just Look at These Countries. This is the moment for which many within the evangelical community have been waiting. Trump won more than 80 percent of the demographic in part because he had the opportunity to appoint judges that could rule more conservatively on issues related to abortion, LGBT issues, and religious liberty. 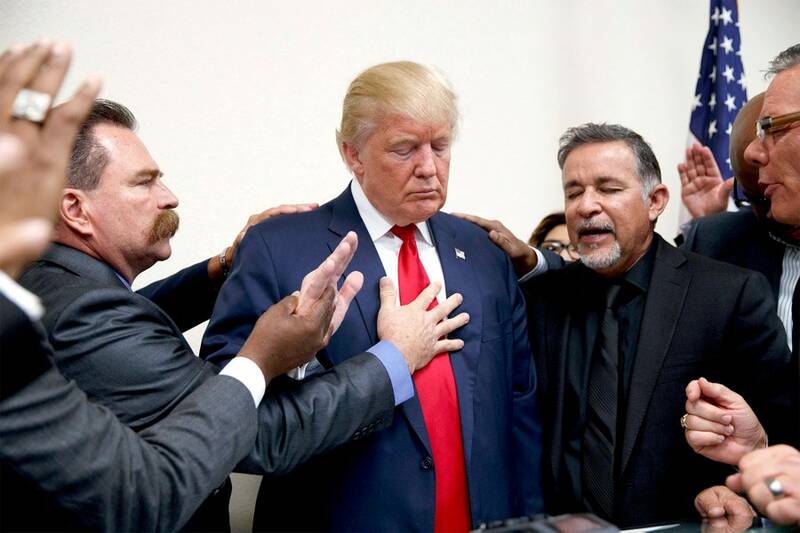 "Trump Has Kept His End of the Bargain": Can Evangelicals Dance With the Devil and Not Get Burned? The ambivalence to Trump, combined with a growing discontent with the state of public discourse in the country, is leading some evangelicals to contemplate a step back from politics. When I ask Karen Swallow Prior, a professor at Liberty University and a well-known commentator on public issues, about the evangelical views on Trump, she barely suppresses a sigh and tells me that she is trying to avoid the anguish of politics, and focus her energy on matters of tolerance and public respect. Is It Anti-Catholic to Ask a Supreme Court Nominee How Her Religion Affects Her Decisions? Twenty years ago Amy Coney Barrett, then a law clerk soon to enter the legal academy, co-authored an article called "Catholic Judges in Capital Cases." The topics raised were intensely debated last year when she was nominated to serve on the federal bench and is sure to be debated again if President Donald Trump selects her for a Supreme Court post. Judge Barrett is reportedly on Trump's short list to replace retiring Justice Anthony Kennedy. Congress Failed to Do Something on Immigration - Again. Here's Why. 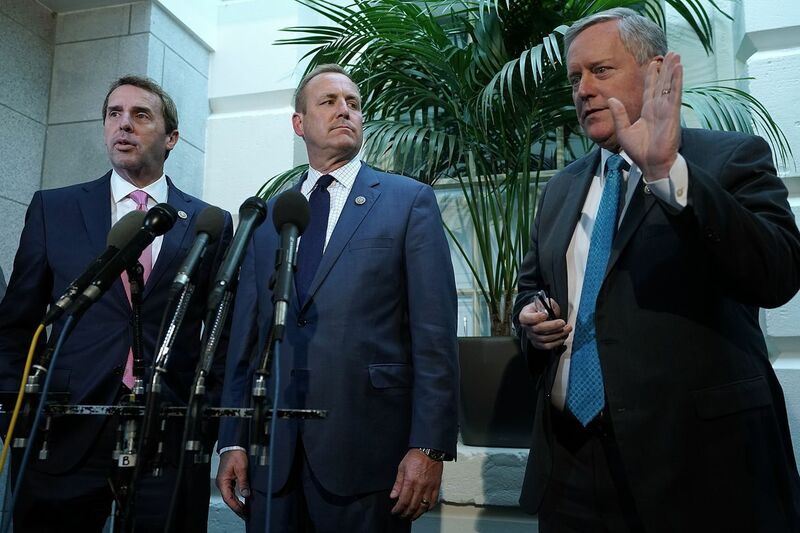 For the past few weeks, Republicans have been furiously negotiating among themselves to develop a "compromise" between conservative and moderate Republicans on immigration. Last week, they failed - by a long shot: The bill, which was fairly conservative in policy, lost the support of every single Democrat and 112 Republicans. 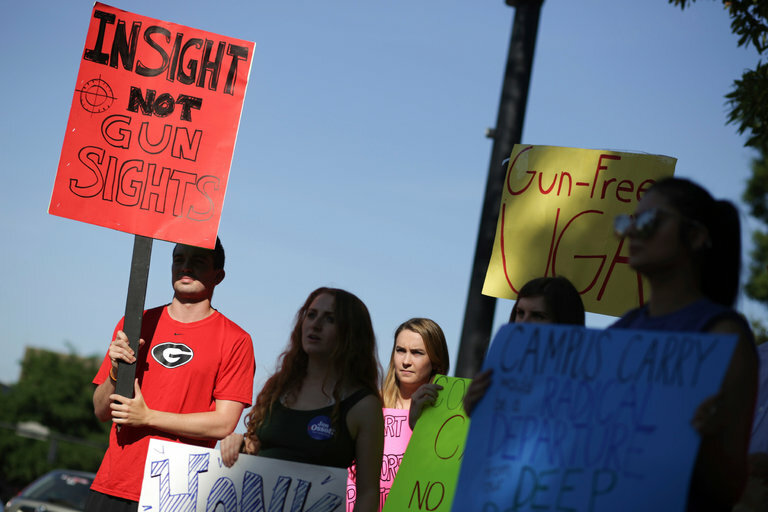 After months of continued debate about the tightening of gun laws after children were gunned down, Senate Majority Leader Mitch McConnell told a crowd in Kentucky there was very little that Congress could do to prevent such tragedies. "I don't think at the federal level there's much that we can do other than appropriate funds," he said. A majority of voters want the next Supreme Court justice to support abortion rights, according to a new POLITICO/Morning Consult poll conducted in the immediate wake of Anthony Kennedy's retirement announcement last week. Republican Sen. Susan Collins, a key vote in the coming Supreme Court confirmation fight, said she would not support a nominee hostile to the landmark abortion ruling in Roe v. Wade. John Roberts is likely about to occupy a dual position that no one else has in the modern history of the United States: He will be both the court's chief justice and, with the retirement of Justice Anthony Kennedy, its median voter - the person in charge of the court, and the justice most likely to swing a decision one way or the other. This combination of institutional power and ideological centrality will give Roberts remarkable sway over the business and decisions of the court, and by extension the law of the land, possibly for decades to come. 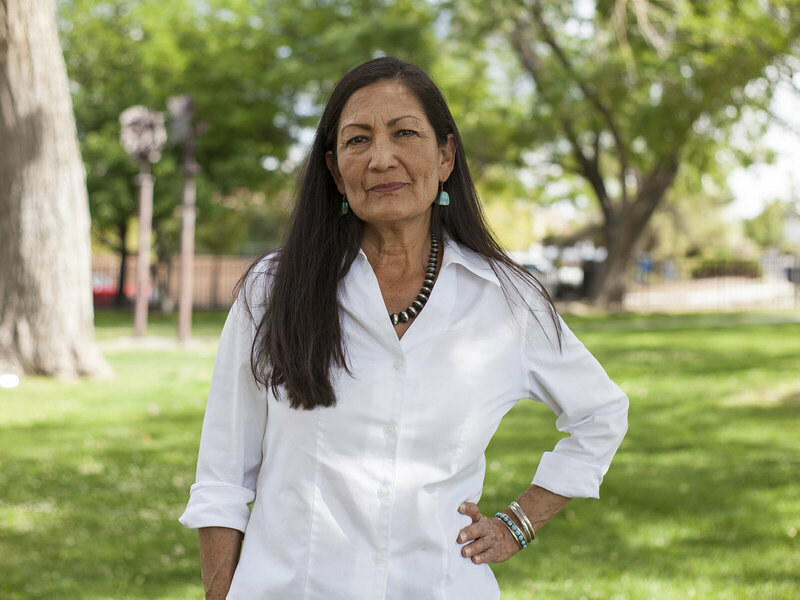 After winning her Democratic primary, Deb Haaland, a member of the Pueblo of Laguna, a Native American tribe, is running for the U.S. House in a strongly Democratic district in New Mexico. That means she may soon be the first Native American woman in Congress. "Somebody has to be the first," she says as she walks through the southeast neighborhood where her office is. "Native women, I mean we've been on the frontlines for a long, long time. Think of all the native women who have fought for treaty rights and fishing rights and all of those things." The 2018 midterm elections are shaping up to be a watershed year for women and politics. Not only are a record number of women running for political office in 2018, but many of them are running campaigns that tout the underrepresentation of women in an effort to galvanize the women's vote. With school out, a lot of teachers are thinking about a wave of protests that had them walking off the job, demanding things like better pay and benefits and more funding for public education. 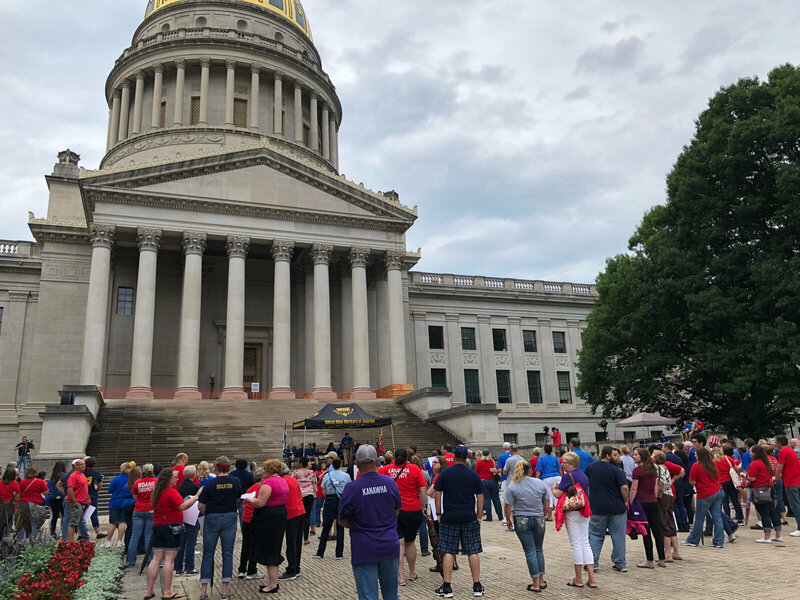 Some of those educators are now running for public office and are on the ballot in North Carolina, Kentucky, Oklahoma, Arizona, Colorado, and in West Virginia where those strikes began. Still, others wonder if what has been seen as a movement created by public school teachers can translate to wins for seats in statehouses across the country. It's now a famous (infamous?) 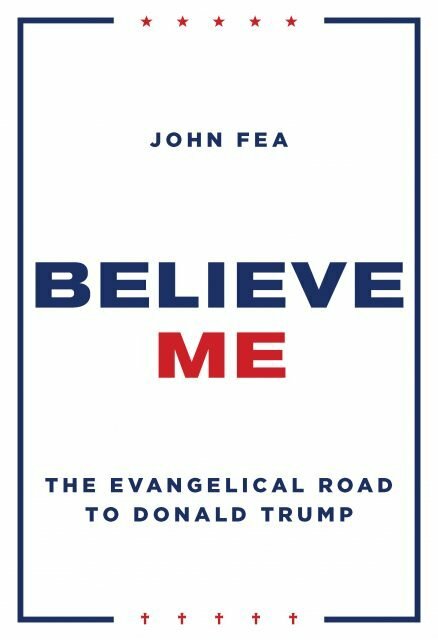 truism that 81 percent of white evangelicals supported Donald Trump in the 2016 presidential election. In doing so, evangelical leaders cast aside their past and very public statements about the importance of strong moral character for those in leadership. It does not make sense that many of these same voters supported Trump as early as the primaries, when there were experienced evangelical candidates still in the race. How did this realignment happen in American religion and politics? Or is it even a realignment? 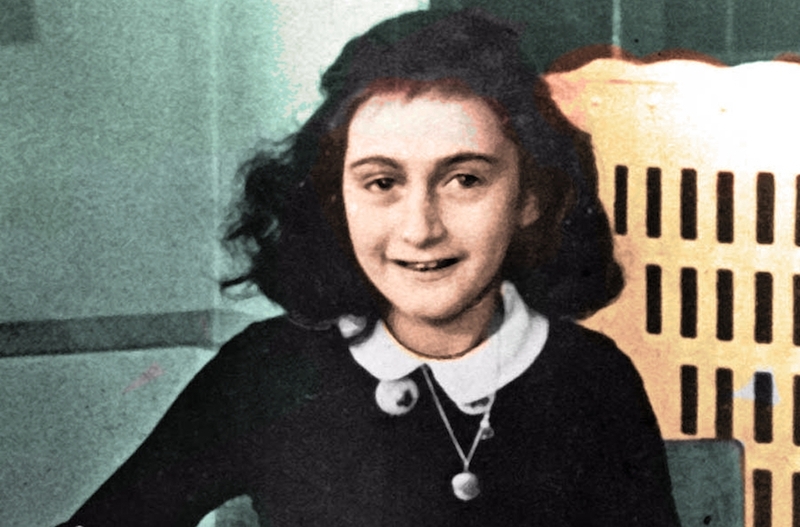 Contrary to widely held beliefs, Anne Frank and her family were never denied entry visas to the United States, a new study by the museum for the young Holocaust diarist confirmed. Due to rapidly changing circumstances connected to World War II, the family's "immigration visa application to the American consulate in Rotterdam was never processed." U.S. Supreme Court Justice Ruth Bader Ginsburg received a lifetime achievement award Wednesday from a prominent Jewish organization in Israel. Ginsburg cited Holocaust diarist Anne Frank among others in a speech at a ceremony in Tel Aviv that touched on her fight for women's rights and quoted from Jewish traditions and history. Chicago's JAC II will be hosting a Brunch for Baer for Lauren Baer, candidate for FL-18, on Sunday August 5th. An all you can eat breakfast & adult beverages - proceeds to support Lauren Baer for Congress. Details to follow. "While you obsess over my genes, your Admin is conducting DNA tests on little kids because you ripped them from their mamas & you are too incompetent to reunite them in time to meet a court order. Maybe you should focus on fixing the lives you're destroying."